Performing regular servicing to your Mercedes will help to avoid mechanical issues and keeps the value high when it's time to part with it. But don't be mistaken into thinking that you have to go to a main dealer to get great quality Mercedes servicing in Bradford. At Drive in Service Centre in Shipley we’re Mercedes specialists, and we want you to stop paying the high prices charged by main dealers, certainly when we can provide the same level of service, repairs and high quality parts at a fraction of the cost. Everything is the same a Mercedes main dealer, but our prices! We don’t share the same overheads that main dealers do, so low overheads means low prices – in fact, our prices can be up to 60% less than a main dealer! Best of all, you’ll save yourself a boat load of money! 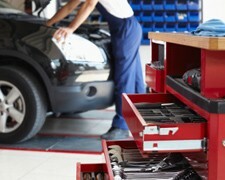 What about servicing your Mercedes during its warranty period? You may not know, but thanks to a government ruling called Block Exemption, it’s your choice where to take your car for servicing without threatening the validity of the manufacturer’s warranty in any way. So when you need your Mercedes servicing or repairs, try us. We’d like to think that there’s nowhere better in Bradford or Shipley to do it and, once you've called us to find our prices, we think you’ll agree. Don't delay - call us now on Bradford 01274 794991 and ask about our great service and incredible prices.